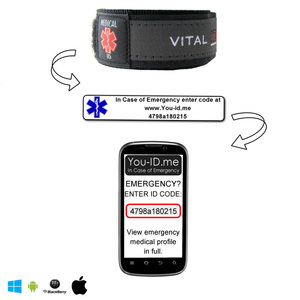 Our SMART ID wristband provides complete confidence and peace of mind. 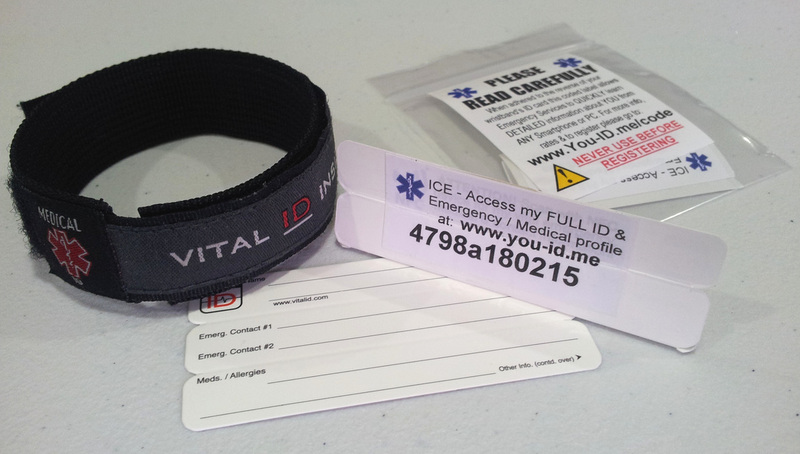 It has an embedded SMART NFC tag that calls up all your essential emergency contact info. 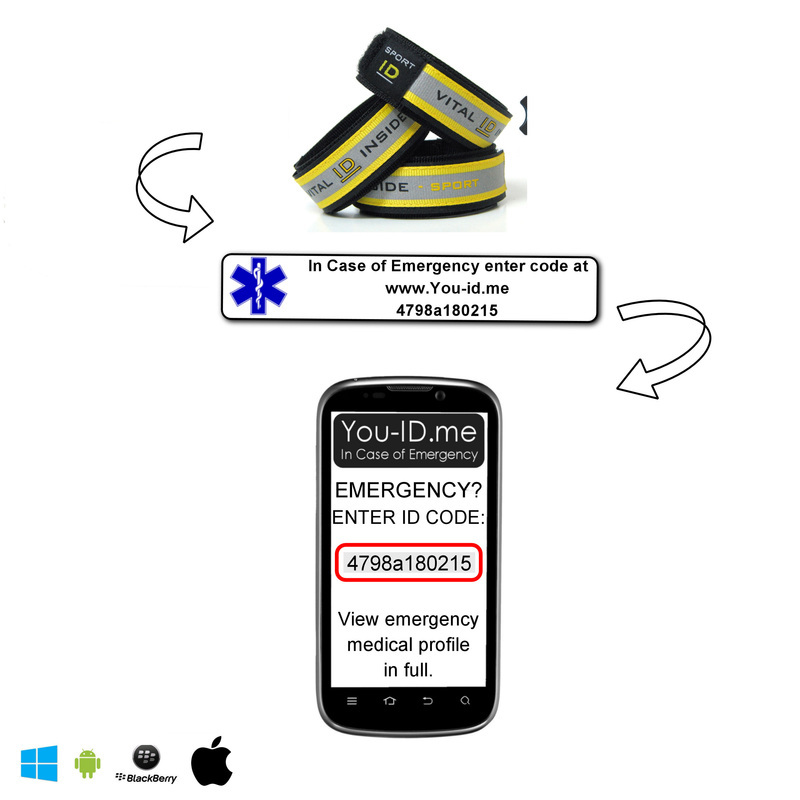 It even has a coded ID so that users of Smartphones without NFC can access your details in the event of an emergency. 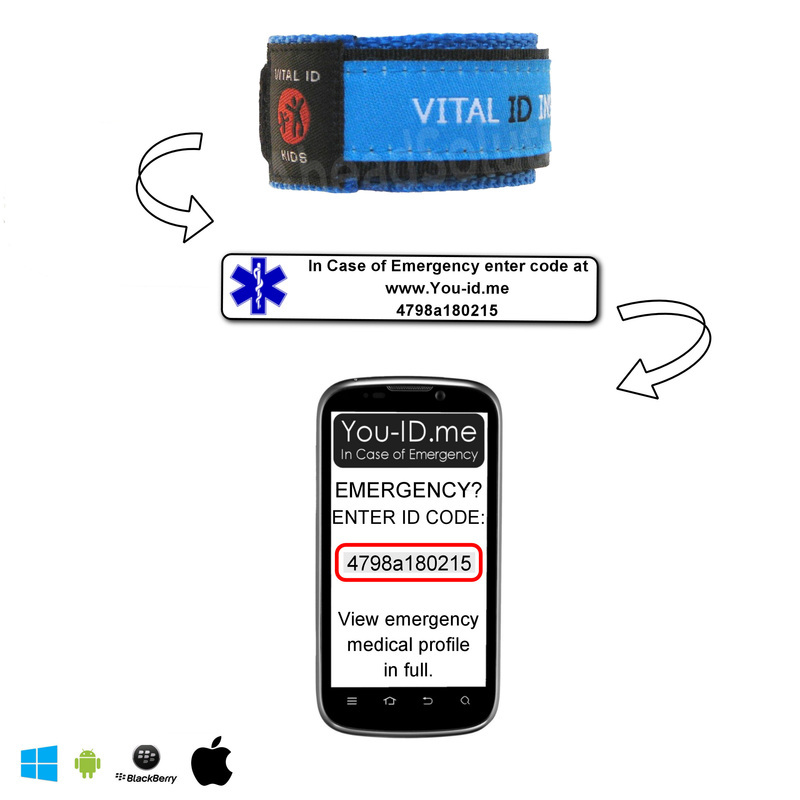 The ID card can be scanned with a Smartphone using NFC or the code on the label can be used (by Emergency Services or first-attenders to access your VITAL details from our secure You-iD .me website. It means that when it matters most, Emergency Services get to know the MOST IMPORTANT things about YOU and FAST. You choose what important information to store - it's completely your call. PERSONAL: Organ donation preference | Religious beliefs etc. TRY IT YOURSELF SEE WHAT A MEDIC MIGHT SEEPretend you are a paramedic for a moment! Use the code 4798a180215 in the emergency box below.